Fe3O4/γ-Fe2O3@SiO2 composite magnetic fluids were prepared successfully by microemulsion method in this study. Fe3O4 magnetic nanoparticles (Nps) were successfully converted to Fe3O4/γ-Fe2O3 magnetic Nps by low-temperature low-vacuum oxidation method (LTLV oxidation method), and then coated with silica by the modified Stöber method. The core-shell structure composite magnetic Nps were characterized by X-ray diffraction (XRD), Fourier transform infrared spectroscopy (FTIR), vibrating sample magnetometer (VSM), and transmission electron microscopy (TEM). 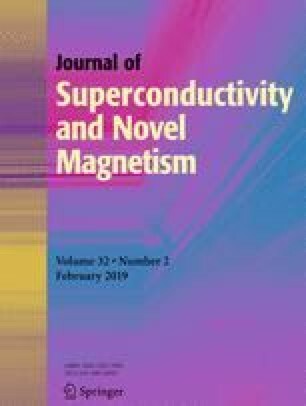 The results show that the size of Fe3O4/γ-Fe2O3 particles was about 13 nm and that of SiO2 coating was about 3 nm, and the saturation magnetization of Fe3O4/γ-Fe2O3 and Fe3O4/γ-Fe2O3@SiO2 Nps was 59.12 A m2/kg and 35.84 A m2/kg, respectively. And the saturation magnetization of Fe3O4/γ-Fe2O3@SiO2 magnetic fluid was 22.91 A m2/kg. • Fe3O4/γ-Fe2O3@SiO2 core-shell structure magnetic nanoparticles and fluids were prepared successfully by microemulsion method in this study. • Compared to Fe3O4/γ-Fe2O3, the saturation magnetization of Fe3O4/γ-Fe2O3@SiO2 nanoparticles greatly increases. • The microemulsion method is low-cost and simple. This work was financially supported by the Key Research and Development Projects of People’s Liberation Army (No. BWS17J036).